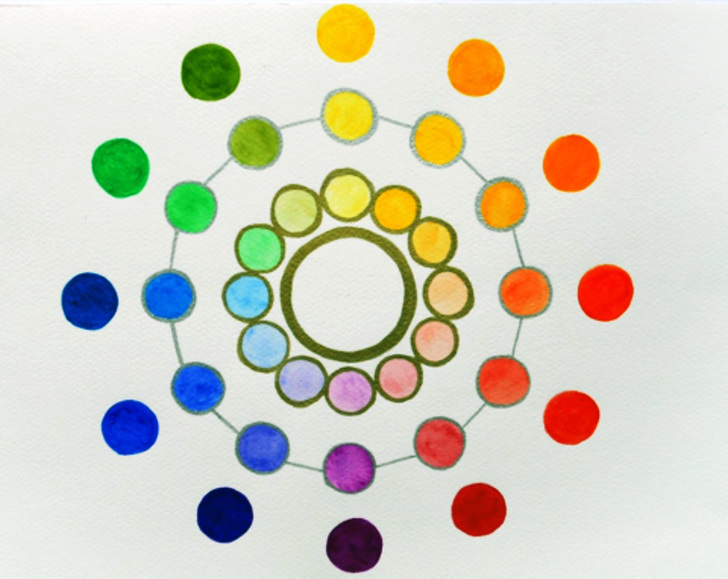 The outer ring of unconnected circles represents the physical level of life and how each person appears to be separate from other people. It can also represent how different areas of a person’s life can be unrelated. The middle ring of circles encircled in silver and connected to each other by silver lines represents interactions between different people. This ring can also represent the souls of different people reaching out to touch each other. The inner ring of gold-encircled, touching circles represents spirit of people. At this level of our being there is no separation and we are all connected. The single gold circle in the centre signifies Source. There is no differentiation, all is one. 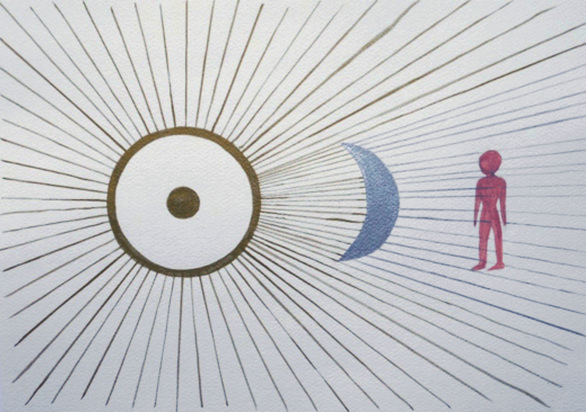 The total experience of creation can be likened to the golden rays coming out of the Sun, which symbolises spirit and is shown as a dot within the circle. The Moon, or soul, is between spirit and the human being. The soul of a person is only part of the wholeness of spirit.